Atlantic BIOCON 2019 will feature local and international technology leaders who are transforming natural resources into high value products. Presentations will be delivered in English and French. Simultaneous interpretation will be available on site. André has a bachelor’s and Master’s degree from the Université de Moncton (BSc Chem, MSc Chem), where he focused on organic synthesis and natural products chemistry, and has recently received his PhD in Chemical Engineering from the University of New Brunswick. He has authored or co-authored twelve scholarly articles and is co-inventor of two patents relating to the enzymatic treatment of wood pulp and wood chips. ​Before joining RPC, André was NBIF’s Research Development Officer where he helped in the evaluation of research funding applications and in the management of NBIF’s various research programs. This position has allowed him to gain an overview of the province’s applied research landscape, including the various research programs related to bioscience and biotech fields. In his past, he has worked as a technical writer and online training content developer for the Oil and Gas industry, a Research Assistant at UNB’s Limerick Pulp and Paper Centre, a Laboratory Technician for Xtrata Zinc, and Chemical Control Technician for NB Power, giving him broad industrial experience. Doug Hooper is the Director, Policy and Regulation, for Advanced Biofuels Canada. Advanced Biofuels Canada is the national voice for producers, distributors, and technology developers of advanced biofuels in Canada. Since 2005, Doug has worked directly on key energy and climate action policies in Canada, including renewable and low carbon fuel regulations, carbon pricing, and fiscal policies to build biofuel production capacity and expand clean fuel use. A respected academic, award-winning educator and accomplished administrator, Dr. Robert Summerby-Murray was appointed Saint Mary’s University’s 34th President in July 2015. Today he leads a vibrant, diverse community of over 8,000 faculty, staff and students and is an enthusiastic champion of Saint Mary’s unique contributions in Nova Scotia and around the globe. Originally from Christchurch, New Zealand, Dr. Summerby-Murray completed his PhD in geography from the University of Toronto in 1992. He is a Fellow of the Royal Canadian Geographical Society, and is active on several public and private boards, including the Business-Education Council and the Advisory Council for the Order of Nova Scotia. He is the Chair of the Board of Directors of the Canadian Bureau for International Education, serves on Committees for Universities Canada and is a member of the AAU Executive Committee. In 2018, Dr. Summerby-Murray was named one of Atlantic Business Magazine’s Top 50 CEOs. Jason Hollett has been working for the province of Nova Scotia for over 10 years on climate change, renewable energy and energy efficiency. He currently leads the team at Nova Scotia Environment responsible for the development and implementation of the province's cap and trade program, which began in 2019. He has also spent time as a teacher and working in rural economic development. John Baker, President, CBD BAKER INC.
John Baker has been a Professional Agrologist for 40 years and a professional plant breeder recognized by the Canadian Seed Growers Association (CSGA) and a Hemp Breeder / Researcher recognized by Health Canada. His expertise in plant breeding, new crop development and product development has been applied in the food, natural health product and bio-pharmaceutical sectors. Industrial Hemp has been a consuming focus over the past 18 years, and John has been responsible for placing over 13 new cultivars of industrial hemp on the Canadian and International OECD list of approved cultivars. These cultivars are grown across Canada, and in Northern / Central USA. Since 2005 after his discovery of relatively high Cannabidiol (CBD) levels in heritage Canadian industrial hemp germplasm, Baker focused on the development and release of cultivars for the biopharma sector. Canadian regulations had prevented the utilization of these varieties for CBD production in Canada until August of 2018. However, in 2015, full commercial use of these cultivars began in the state of Kentucky USA, by way of a US cultivar licence agreement. A similar Canadian licence agreement has been reached in Canada with a New Brunswick company called “1812 Hemp”. John currently lives with his wife Christine in the Belleville / Stirling area of Central Ontario, and their business activities are located within the Quinte region. Dr. John Kettle has been working in research for the pulp and paper related industries since 1983 when he started his R&D career in his native UK with English China Clays. In 1997, he moved to Sundsvall in Sweden to work for SCA Graphic Research and worked in their R&D management until 2006 when he moved to Finland to work at KCL (a jointly run R&D centre for the leading pulp, paper and packaging companies in Finland). At KCL he had various positions including Research Area Director for an area called “Sustainable Production Technologies” before in 2010, KCL was merged into VTT Technical Research Centre of Finland Ltd (VTT). At VTT he worked in research and international business development ending up as one of the Vice Presidents of Sales and Business Development. In 2018, John joined Natural Resources Institute Finland (Luke) to develop the international customer engagement and in 2019 became the Director of Customer Solutions and International Relations in the same institute. Kendra was previously a Partner in Deloitte's Risk Advisory practice and the Chief Audit Executive of Deloitte Global. Kendra has worked with a number of clients across multiple industries, small and large, public and private in the areas of governance, risk management, cyber security, internal and external audit. Kendra has had the opportunity to live and work in Ottawa, Montreal, Australia and Hong Kong before moving to St. John's in 2010 where she now resides with her husband and two children. Pascal-Hugo has spent nearly 20 years forging meaningful partnerships with entrepreneurs, stakeholders and governments in Canada and internationally. In his current role as Director of Partnerships, he bridges the gap between funding and talent, connecting promising Canadian cleantech entrepreneurs with a strong supportive ecosystem to help propel their growth domestically and on an international scale. With guidance and funding secured through partnerships, SDTC works as a catalyst and convenor for Canada’s cleantech ecosystem, helping Canadian companies in their efforts to develop and deploy globally competitive cleantech solutions that address climate change, clean air, clean water and clean soil. Pascal-Hugo holds a BA and Masters from the University of Ottawa. Paul Richards is the Regional Manager for Innovacorp, Nova Scotia’s early stage venture capital organization. In this role, Mr. Richards focuses on enabling knowledge-based companies to accelerate the commercialization of their technologies and to create a dynamic high-growth entrepreneur culture in Nova Scotia. As the sector lead for the bioresource sector he has proactively been supporting the development and financing of the sector in the region. A key priority in his work is the development of the Innovacorp Demonstration Centre for the Bio-Resource Economy which is a facility aimed to help support the sector to create high-value opportunities in the rural regions. Currently, Paul is leading a joint collaboration between Innovacorp and Bioenterprise, a business accelerator offering commercialization services to help promote the creation, growth and expansion of businesses engaged in Agri-Technologies. Dr. Roberto Armenta is the Chief Scientist and Director of R&D of Mara Renewables Corporation in Dartmouth, Nova Scotia. Dr. Armenta has worked extensively in academic, government and industrial sectors. His work includes innovative R&D on industrial biochemical processes, and his research has been crucial in developing novel processes for the development of microbial bio-products. 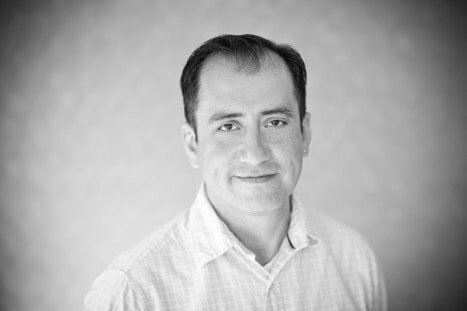 With over 15 years' experience, Armenta's tenures have included his role as Natural Product Biochemist with the Prince Edward Island government, and as Senior Scientist, Director of R&D for Ocean Nutrition Canada Limited (ONC)'s Fermentation and Metabolic Engineering Group. He’s an Adjunct Professor in the Department of Process Engineering and Applied Sciences at Dalhousie University, and a prolific inventor and author, with over a dozen commercially relevant patents and numerous peer-reviewed scientific publications to his name. He’s also a member of the Society for Industrial Microbiology and Biotechnology and the American Oil Chemists’ Society. Passionate about renewable resources, Rod Badcock spent the beginning of his career in woodlands operational roles with Alberta Pacific Forest Industries and Bowater Mersey Paper Company. In 2011, Rod entered the consulting world which has led to the formation of BioApplied Innovation Pathways where he is a Principal Partner. BioApplied focuses on advanced technologies in renewable resource sectors supporting clients who are developing new products, services, and processes through innovation. In this role he has worked on numerous projects such as the High Performance Logging Program in cooperation with the Canadian Woodlands Forum, the commercialization of Cellulose Nano-crystals, and the launch of the Nova Scotia Innovation Hub in cooperation with FPInnovations. Steve Parsons is presently the General Manager Corporate Div. , Eskasoni First Nations which is nestled on the beautiful Bras D`or lakes in Cape Breton, Nova Scotia. Steve graduated from Memorial University – St John`s, NF in 1990 with a Bachelor of Arts and a Bachelor of Education. Steve started his working career with Shoppers Drug Atlantic Office as a Loss Prevention Retail Coordinator. 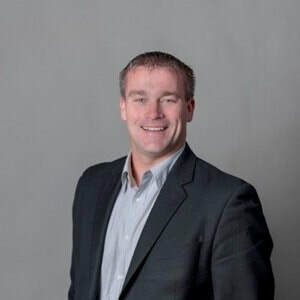 Over the years 1991- 2000 Steve was promoted to the level of District Coordinator responsible for the profitability of twenty SDM franchises in both Newfoundland and Nova Scotia. Since 2001, Steve has worked within the First nation community of Eskasoni both as a secondary teacher delivering business curriculum courses and as an economic development consultant. Since 2003, Steve was responsible for project management of the newly renovated Dan K Stevens arena, establishment of a community gaming casino along with numerous exterior commercial contracts. Since 2013 Steve has been working as the General Manager of Eskasoni Corporate Div which has been engaged in Renewable resources of wind and solar development, cold storage and Live Storage of fishery related product along with many other industry sectors. In 2008 and again in subsequent 4 year terms of 2012 and 2016 Steve was elected to the Cape Breton Victoria Regional School Board district 3 as a board trustee holding the position of vice chair and Chairman. Steve also serves as a board member on several companies and foundations including the Cape Breton University Board of Governors, Cape Breton Partnership, Sydney & Area Chamber Of Commerce, Eskasoni Wind Company ltd and most recently Provincial Advisory Committee to the Minister of Early Childhood and Education. Dr. J. Kevin Vessey is a Professor of Plant Biology at Saint Mary’s University in Halifax, Canada. Dr. Vessey’s teaching and research area is plant physiology, particularly the functional interactions between crop plants and beneficial micro-organisms, and the optimizing of crops as biodiesel and bioethanol feedstocks. Dr. Vessey received his BSc and MSc from Dalhousie University and his PhD from Queen’s University, Kingston. From 2005 to 2017, he served in the positions of Dean of Graduate Studies and Associate VP Research at Saint Mary’s. Prior to coming to Saint Mary’s University, he was a Professor of Plant Science at the University of Manitoba for 16 years. He has also been a Researcher Associate at North Carolina State University, and a Visiting Scientist at the Institut National de la Recherche Agronomique, France. He has published over 85 peer-reviewed scholarly articles and book chapters, has co-edited one book, and been awarded one patent. Dr. Vessey has served on many boards and committees including grant selection committees of the Natural Sciences and Engineering Research Council (NSERC) and BioFuelNet Canada; advisory committees for the Nova Scotia Research and Innovation Trust, NSERC Atlantic, and TRIUMF (UBC); and the Boards of Directors for NSERC, the Offshore Energy Research Association, Plant Inoculants Canada, Springboard Atlantic Inc., and the Alliance of Canadian Comprehensive Research Universities. In recognition of his scholarly and service activities he received awards the “Unsung Heroes” Award from the Nova Scotia Health Research Foundation, the Dedicated Service Award from the Northeastern Association of Graduate Schools, the C.D. Nelson Award from The Canadian Society of Plant Physiologists, and the Rh Institute Award in the Natural Sciences from the Rh Institute Foundation. Sylvain Volpé was born and grew up in the forest region of Edmundston, New Brunswick. The forest industry is an important part of the economic vitality of the province and encouraged Sylvain to complete a Bachelor of Forest Science at the University of Moncton in 2005. His interest to specialize is expertise lead him to Laval University in Quebec City where he completed in 2007 a Master’s of Science in Forest Operations under the direction of Luc Lebel. With his background acquired in university research and the desire to continue in the field of research, Sylvain joined the research group on forest feedstocks (now Fibre Supply) at FPInnovations in Montreal. He is also leading projects for major bioenergy initiatives across the country, such as the Nova Scotia Innovation Hub and the BELT project.